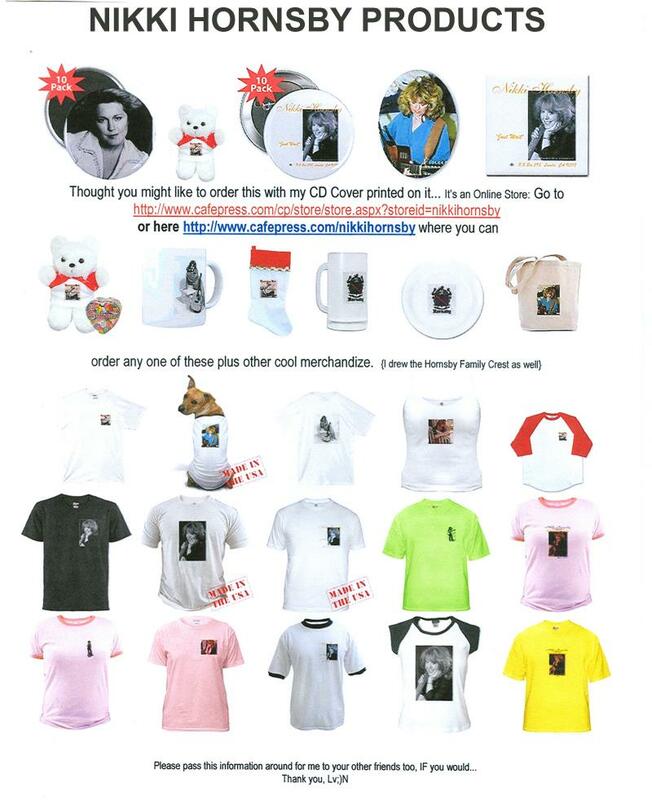 Fact: CJP-NHRecords holds product standards that will not make "VANITY" CD products for release. CJP-NHRecords standard has to be met equal if not better than the products produced that are on the market today. How good that will be depends on funding which is as variable as the businesses contracted to market . If you can not answer the mailform then just feel free to leaving a message that were were here. 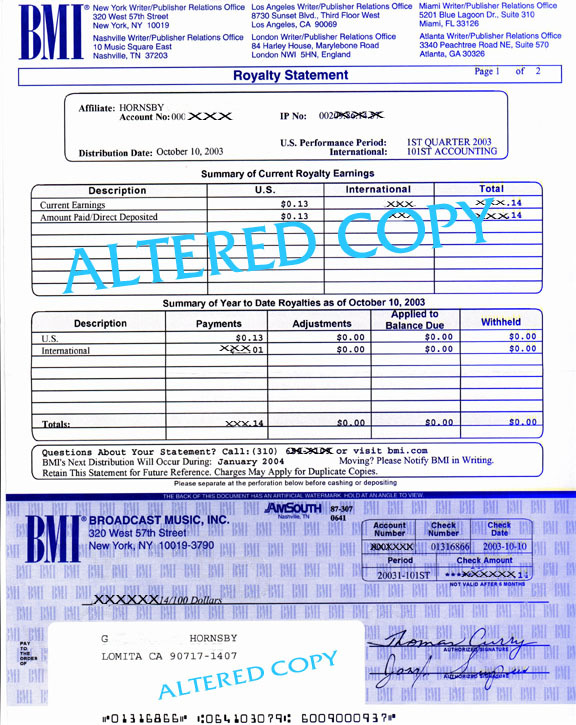 Below: Sample of a Ck from Broadcast Music Inc. (BMI) which is the collection agency for songwriters & publishers. 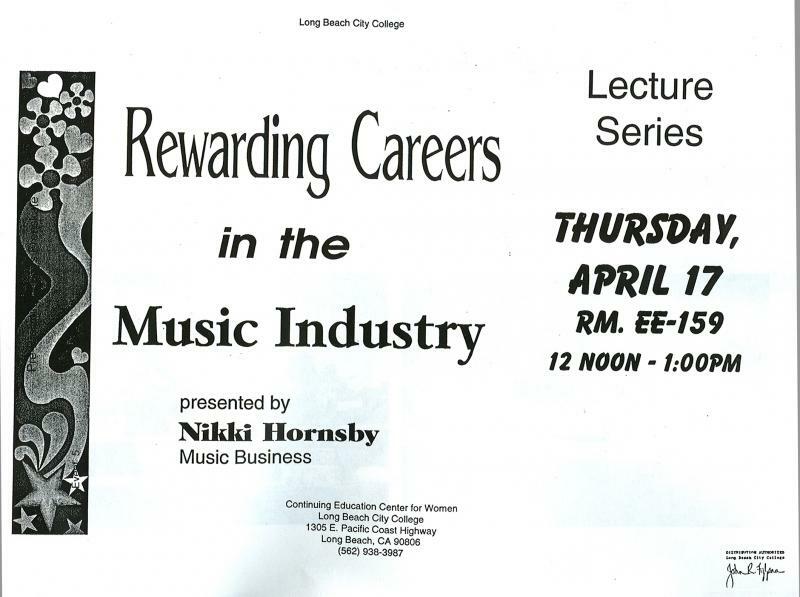 Below: Nikki Hornsby conducts lectures regarding the music recording industry based on personal experience & knowledge. Sample of a flyer. 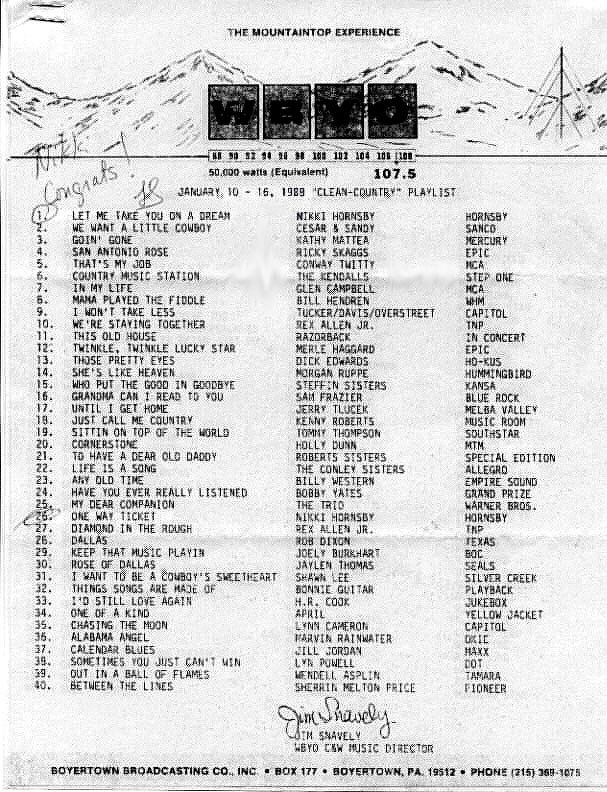 Below is the first #1 for Nikki Hornsby's song Let me "Take You On A Dream" in USA. in the State of PA at this offline commercial WBYO 50k radio station. She wrote that song while performing in San Pedro, CA where customers use to request oldie songs for her catelogue which is large. Plus she could play for old hits a medley in order for customers to dance & remember where they were back then as she would sing: "Let Me Take You On A Dream, let me walk you though the past..." in that style she wrote. Video online as a single to enjoy once again. We won't sell or share your contact information with other businesses.